Here are 20 of the Best Black Friday and Cyber Monday Green Deals I Found on the Web for Holiday 2012! Click on each link below to view the deal! Don't Miss These Daily Holiday Specials Throughout November and December! Free Shipping On Orders $75 and more at Green Living Everyday! Save 25% on Every Order at GAIAM! - Shop a wide selection of yoga & fitness gear, all natural cotton clothing, and eco-friendly sustainable home goods. $5 Off Engage Green Backpack- Three compartment backpack made from Recycled Plastic [PETE] Great design & waterproof – so many uses! 15% Off Eco Friendly Snow Throwers - Yes they do exist! Take an additional $5 off Solar Glass Votives - Set the mood for the holidays! Save 10% of Organic Linens + Free Shipping - Possibly the best of the best green deals for the holidays!!!! Take an Additional 15% off Fair Trade Ornaments - Create a fair trade tree this year! Save 10% on LooftLighter Electric Barbeque Lighter - The Looftlighter is the quickest, cleanest, safest, and easiest way to light your barbeque or wood fireplace. Take 10% off H2O Power Can Clock - Makes a great gift for teachers or teens...you have to see this! Save 15% On Yoga Accessories - Need I say more?? Natural Soap Bars - Buy 4, Get 1 Free!!! Save 10% Off iZen Bamboo - Use code "Holidaze12"for great bamboo gifts that are perfect for the techie in your life. 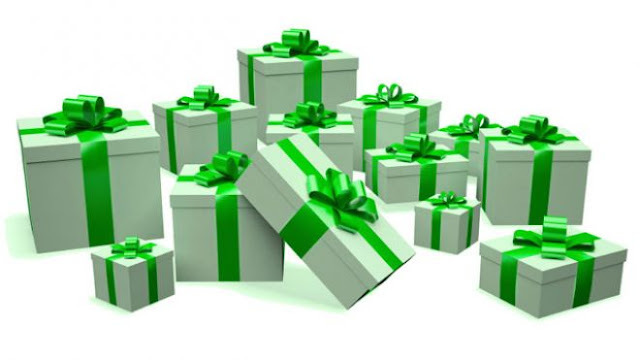 Green Deals on Gifts for Her make gift giving easy! Save 20% on Natural Beauty at Beautorium! Impress Your Foodie Friends with my Favorite Garlic Gold Gift Boxes at 40% Off! Plus Free Shipping on Orders Over $45! I Found Lots of Green Deals and Fun at EcoMom - From organic baby food to cloth diapers, wood toys and non-toxic house cleaning supplies, their product curation and acclaimed customer service sets them apart. Free shipping always on orders over $50 and Black Friday and holiday deals make this site a must see for holiday shopping! MORE Black Friday Green Specials! MORE Cyber Monday Green Specials!